An Anne Arundel County man has been charged with four counts of animal cruelty after police say he tied his dog to the bumper of his pickup truck and dragged the dog down the street. WASHINGTON — An Anne Arundel County man has been charged with four counts of animal cruelty after police say he tied his dog to the bumper of his pickup truck and dragged the dog down the street. Herbert Carl Sensibaugh, 53, told his Linthicum Heights neighbors he was disciplining his dog for escaping from the yard, police said. The dog, a German short-haired pointer mix named Rebel, suffered lacerations in the incident and was treated several days later at an animal hospital. 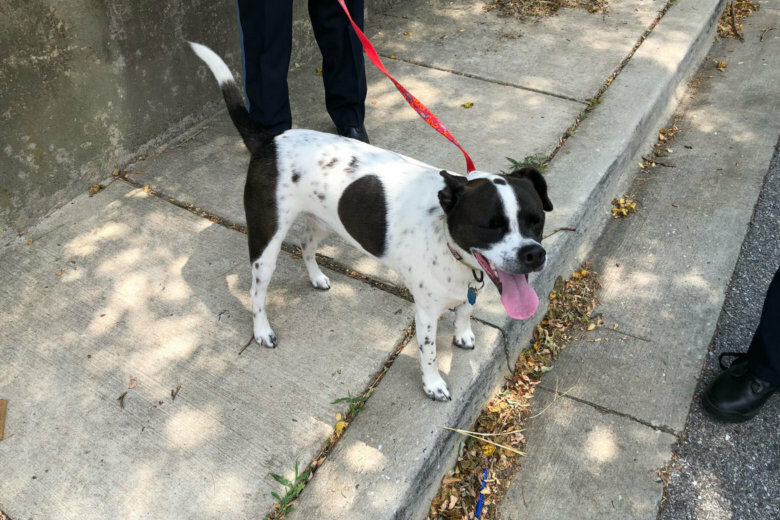 Anne Arundel County police first came to the 200 block of Charles Road in Linthicum Heights on July 14 after neighbors reported seeing Sensibaugh dragging the dog from the back of his white pickup truck. Some of the neighbors confronted Sensibaugh, but he told them to “mind their own business,” police wrote in charging documents. A few days later, Animal Control investigators interviewed Sensibaugh, and he admitted to investigators that he tied the dog to the bumper to punish him for getting out of the yard. According to charging documents, he told police he was only going 5 mph and that after being confronted by neighbors, he put the dog into the front seat of the pickup and drove back home. Police also interviewed three neighbors who said they witnessed the dragging. They said Sensibaugh’s speed was closer to 25 mph. When police examined Rebel two days after the reported dragging, they said the dog was limping and had a laceration on one of the pads of his paw. Police also took a look inside the pickup truck and noticed several spots of blood on the passenger seat. The dog was taken to Alexander Animal Hospital where he was treated for his injuries. Sensibaugh was arrested July 18. A search of his house turned up a small amount of suspected cocaine, 68 Oxycodone pills, 15 morphine pills and 12 Endocet pills, police said.